When I was thirteen, I picked up a used paperback copy of the anthology 100 Great Science Fiction Short Short Stories, edited by Isaac Asimov, Martin Greenberg, and Joseph D. Olander, which was first published in 1978. A quarter of a century later, it’s still on my bookshelf, and I’ve just finished reading through it again, solely for my own pleasure. I’ve spoken here before of how my taste in fiction, movies, television, music, and just about everything else in life was shaped by what I happened to stumble across in seventh grade, and this little book may turn out to be as influential as any of the others. It was the first science fiction collection that I ever owned, and with a few caveats, it’s still the one that I’d recommend to anyone who was looking to get into the genre for the first time. None of the selections are longer than five pages or so, and some are a less than a page. A few are little more than shaggy dog stories that hinge on a bad pun at the end—“A niche in time saves Stein”—but others are genuinely funny, scary, or haunting. The best serve as a perfect illustration of the Borges test, which states that many stories should only be as long as it takes to verbally explain the idea to an intelligent listener. And the range of voices presented here still catches me by surprise. When I first read this book, I hadn’t heard of any of them, apart from Asimov, and I didn’t pay much attention to the names of the authors. As a result, when I skim the table of contents, I’m amazed to find that I was reading stories in my early teens by Cyril M. Kornbluth, Joanna Russ, Larry Niven, Damon Knight, Barry N. Malzberg, Alfred Bester, Gregory Benford, and even George R.R. Martin. As a story grows shorter and shorter, all the fancy embroidery that length makes possible must go. In the short story, there can be no subplots; there is no time for philosophy; what description and character delineation there is must be accomplished with concision…Everything is eliminated but the point. The short short story reduces itself to the point alone and presents that to you like a bare needle fired from a blowgun; a needle that can tickle or sting or leave its effect buried within you for a long time. And the best way to get a sense of the form’s possibilities is to pick up a copy of a collection like 100 Great Science Fiction Short Short Stories and dive right in. (For some reason, I was never quite as entranced by its companion volume, 100 Great Fantasy Short Short Stories, maybe because it seemed too much like playing tennis without the net. There’s also an earlier anthology, Fifty Short Science Fiction Tales, edited by Asimov and Groff Conklin, which is equally worthwhile, and some of the stories that I recommend here appear there instead.) My personal favorites include “The Figure” by Edward Grendon, a time travel story that saves an unforgettably sick twist for the very last word; “Tiger by the Tail” by Alan E. Nourse, about a mysterious pocketbook that leads to a parallel universe; “Shall the Dust Praise Thee?” by Damon Knight, which first appeared in Harlan Ellison’s anthology Dangerous Visions; and “Mimic” by Donald A. Wollheim, which was loosely adapted into the Guillermo del Toro movie of the same name. 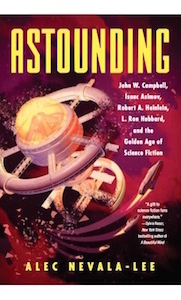 Other strong selections from the Asimov/Greenberg/Olander anthology, plucked essentially at random, include “Punch” by Frederik Pohl, “Upstart” by Steven Utley, “Safe at Any Speed” by Larry Niven, “Innocence” by Joanna Russ, and “Synchronicity” by James E. Thompson. Many of them end at the moment that a more conventional work might begin, with the core premise turned into a closing twist rather than an inciting incident, and when I look back, I see that many of my earliest attempts at writing fiction grew from a seed that one of these stories had planted. Of course, not every short short story is worth reading. As Asimov points out, the form leaves the writer with nowhere to hide, and the whole effort stands or falls on the originality of its core idea. That’s part of the reason why I’ve never tried it myself, although I’m currently working on a story—an adaptation of my audio script “Retention”—that might technically qualify. And the low barriers to entry imply that there’s more forgettable work produced in this form than any other. As Stewart Beach, the fiction editor of This Week, writes in the anthology that I mentioned above: “Nothing loses interest quite as quickly a short-short which isn’t going anywhere except to a so-called surprise ending with ‘surprise, surprise’ telegraphed so hard through a lifeless middle that the reader either throws the story aside in disgust or skips forward to the ‘surprise’ he has been warned to expect.” That’s as true of science fiction as anything else, and my praise of the form is skewed by the fact that I know it best from anthologies of published stories, which have already gone through two levels of selection. (These days, we’re more likely to use the term flash fiction, which carries the unfortunate implication, at least to me, that they should be written quickly.) But even when you come across a clunker, you’ve only wasted a few minutes of your time, and I can’t think of a better way to rapidly familiarize yourself with the style and themes of a wide range of writers. An ambitious anthology by a good editor, covering the forty years since 100 Great Science Fiction Short Short Stories was released, is a book that I would buy in a second. And I don’t think I’m alone. If I go to the theatre now, it must be a political gesture, with a view to changing, with the help of other women, its means of production and expression. It is high time that women gave back to the theatre its fortunate position, its raison d’être and what makes it different—the fact that there it is possible to get across the living, breathing, speaking body, whereas the cinema screens us from reality by foisting mere images upon us.